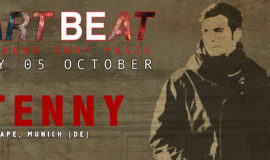 ► INTRO: ►Intro: due to unknown reasons Mike Dehnert has cancelled his Asia tour. He will explain his regretful decision later on his own page. The show must go on thus we concocted a stellar local line up!! The Fantastic Five:Marking the return of Nic Ford in the booth with Heart Beat, reminding us of the legendary nights we had with him already too long ago. Nic just released a massive new track on Dred Records, which is getting great feedback. And then there is the debut of the promising home grown talent Huy Truong! He’s just started to run Pink Room Records events, catapulted by the launch the imprint’s first EP Buxu this Saturday 30 JUNE at SchillerSaigon. 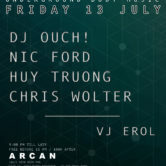 Residents Dj Ouch and Chris Wolter Heartbeat Saigon will surround master Nic and the prodigy Truong; expect only the purest quality music to practise your latest dance moves. ►CHRIS WOLTER hailing from Hanse city Rostock, with a very active scene, as we all have experienced these past years. Chris is already more than 10 years part of the Vietnamese culture and of course the founding father (Papa) of Heart Beat. Made his debut in 2004 as DJ and in 2008 his first set in Vietnam during the Hanoi Soundstuff Festival. Now also performing and releasing under his alias Phuc Long on HRBR a new imprint with BAX as head honcho. Last but not least, June 2018 Pink Room Records was launched, this Vietnam based Techno label headed by Chris. The debut EP BUXU was naturally from his hand. ►NIC FORD Grew up in Manchester, started DJ’ing in the mid nineties. Held his first residency at Dry 201, (Factory Records/ New Order). One half of British electronic music duo MadderModes, runs Shift Coordinate Points imprint with Andy Harper and currently resident DJ at The Observatory, Saigon, Vietnam. ►HUY TRUONG Huy Truong discovered and started playing DJs at the age of 17 with a variety of genres. In 2017, he joined HRBR and had the opportunity to get more exposure to House music, which has shaped his own Minimal style. In addition, he also participated in Techno music events held by Heart Beat and since then this genre also accompanied him in his set. As the youngest brother of HRBR, Huy Truong manages himself as a “Minimalist”, promises to keep boiling the dancefloor with his Minimal/Deep Techno style. 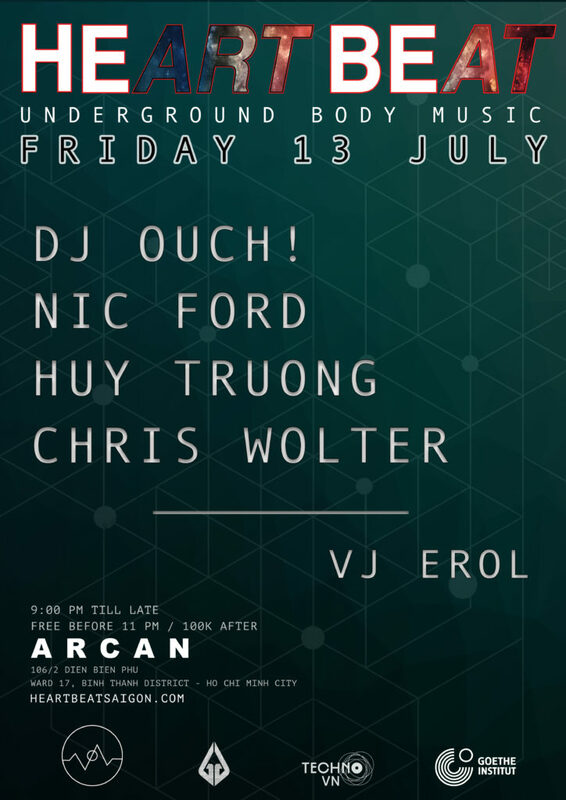 ►Intro Venue:ARCAN is a new underground entertainment venue, designed and operated by Goss & Flo and their crew through their company Asian Rave Connection Ltd. Enter in Hem 236 Dien Bien Phu Binh Thanh District or via 30 Nguyen Cuu Van, Binh Thanh District, and go into the alley in front of Hotel Lief, this is 106/2 Dien Bien Phu. ▬▬▬▬▬▬▬Intro Heart Beat ▬▬▬ this is the 35th instalment of Heart Beat, also known as the Techno crew of Saigon, enriching its scene with their selection of “ Underground Body Music”, in doing so as a promoter, sound system, tiny community and nascent record label. 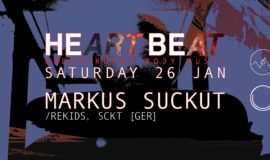 Heart Beat brings foremost the techno culture to Saigon’s nightlife by regularly hosting nights. Here you can hear international renowned and local talent play classic & grooving minimal techno. 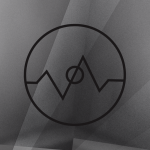 They just call it “underground body music” Heart Beat purveyors of techno already brought you names as Par Grindvik, Marc Romboy, Antigone, Shifted, Henning Baer, Marco Shuttle, Etapp Kyle, Ed Davenport, Oliver Deutschmann and many more.